Fusion SL™ dipping, pouring and transfer ladles provide long life and thermal insulation for your metal pouring needs. 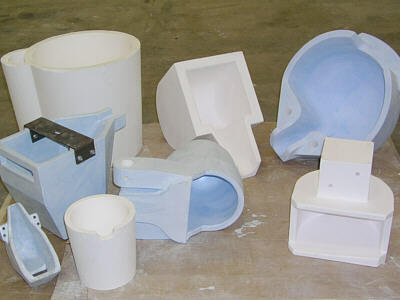 Rex Materials has a family of fused silica materials and Fusion SL is our best ladle material. Fusion SL is very non-wetting to aluminum. 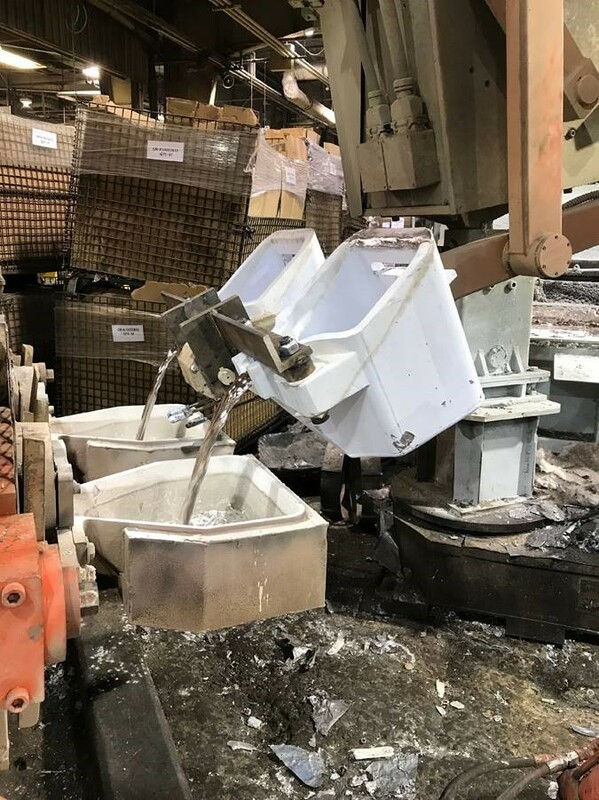 Rex Materials has developed a standard line of robotic dipping ladles. Transfer ladles are available in aluminum capacities up to 4,000 lbs and 10,000 lbs for iron. Our engineering and tooling specialists can design and build a ladle to your exact specifications.the key characteristics of Fusion SL ladles. represents a family of high purity fused silica materials tailed to achieve optimum properties required for molten metal applications. Fusion products are precision cast into a wide variety of sizes and shapes, from small and intricate to extremely large, including shapes with complex internal features – typically without the need for costly machining.